Find your perfect yoga class in Denbighshire, Llandudno, Conwy. 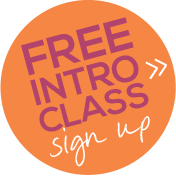 All classes are an hour long, starting with short meditation, followed by dynamic flowing sequences linking movement to the breath and finish with relaxation, leaving you feeling fabulous! How much is the class? Your first class is FREE, there is no need to book just turn up. Then we operate on a block booking system. £35 for five weeks, at one session a week. The block is set to you, so please turn up to class when you can and discuss with your teacher when you would like to start. Or alternatively pay on line for your block of five sessions here. Are you a complete beginner? Come along to any of our beginners or all levels classes and learn all you need to know about yoga and the basics of a simple yoga class. Need a mat? We have spare mats for you to use at both venues. Want to know more about the teachers? Click here. Do classes run all year? Classes run throughout the year except for the bank holiday weekends and two weeks around Christmas. We look forward to seeing you in class soon. If you have any queries or want to discuss more about booking please call Laura on 07989 512859 or email info@thezestlife.co.uk.